Adjacent Putrajaya, five minutes from the ERL Station, 10 minutes from Cyberjaya, 25 minutes from Kuala Lumpur city centre and 30 minutes from KLIA / Sepang International Circuilt, sits strategically the latest and grandest of hotel development, the five star deluxe Putrajaya Marriott Hotel. Visitors en route to Cyberjaya, Putrajaya and neighbouring surroundings will be surprised at the massive castle like structure of the hotel. The hotel concept is a combination of Mediterranean – Moorish architecture and its interior and motive is palm leaf inspired. A picturesque 5-star conference resort, conveniently located midway between Kuala Lumpur International Airport and Kuala Lumpur city centre. Built atop Bandar Baru Bangi’s highest peak, it is surrounded by a 27-hole championship golf course, lush tropical greens and offers wonderful vistas, and serene environment.The hotel was built in the style of low-rise Mediterranean Villa with 252 guestrooms, each with own private balcony overlooking either the swimming pool and garden area or the golf course. It also features extensive meetings and conventions facilities and three distinctive restaurants offering international, Chinese and Japanese cuisine. ​Resting snugly within the pristine Bangi Main Campus grounds of Universiti Kebangsaan Malaysia, we welcome our guests to UKM very own luxurious accommodation and meeting venue. You will be enchanted by its unique tailored modern concept and cozy ambiance. Feel the enchant of its warm and cozy interiors as you step into the luxurious atmosphere of the hotel. From the breathtaking lakeside view to the lavishly sculptured surroundings, Residence®Hotel is a picture of peace and serenity. Fast becoming a prominent landmark along the Kajang-Puchong Expressway, the hotel is conveniently accessible from Kuala Lumpur or the Kuala Lumpur International Airport, Sepang. 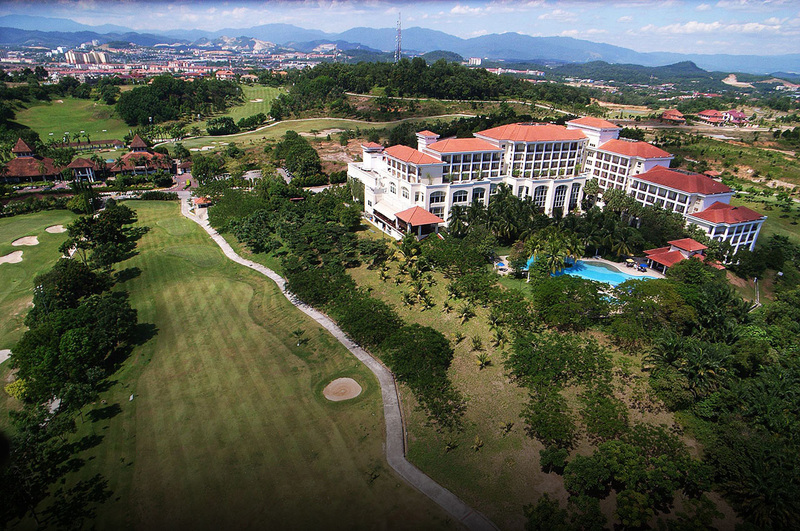 On the fringes of the city of Putrajaya, lies Palm Garden Hotel, a 4-star resort hotel on 330-acres of scenic and lush IOI Resort City. The resort is strategically located 15-minutes from the conference venue and 30-minutes from the Kuala Lumpur International Airport, Sepang. Putrajaya Shangri-La is an intimate and stylish city resort committed to personalised service while being the perfect venue for business or leisure. 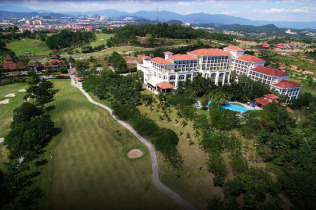 It is strategically located on a green hilltop enclave overlooking the heart of Putrajaya, Malaysia's 21st-Century garden city which houses the new Federal Government, the Prime Minister's Center and the majestic Royal Palace. By car, the hotel which is within Malaysia's Multimedia Super Corridor (MSC) can be reached in just 25 minutes from the Kuala Lumpur International Airport (KLIA) and 30 minutes from the city of Kuala Lumpur. 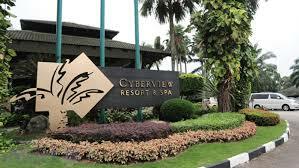 Known as Kuala Lumpur's 'best-kept secret', Cyberview Lodge Resort is located in the heart of Cyberjaya, close to Putrajaya and its many attractions. This five-star boutique resort is set amidst lush tropical gardens, with an interior made up of high-quality timber and warm, earthy hues, creating a homey and soothing ambience for guests. Its 74 accommodation units consisting of chalets, suites and bungalows are a perfect blend of traditional and contemporary. With an award-winning Sembunyi Spa and a team of professional, dedicated staff who ensure that guests' needs come first, this luxury resort is the ideal choice for those looking for a relaxing time away from the manic city. Located in Precinct 1, The Everly Putrajaya Hotel is connected to the Alamanda Shopping Centre. The hotel boasts 380 guest rooms, 1,000 seats banquet hall, eight meeting rooms, coffee-house, cafe lounge, swimming pool as well as an executive and air crew lounges.